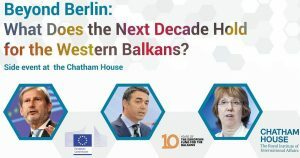 During the Western Balkans Summit in London on July 10th, the European Fund for the Balkans in cooperation with the British Royal Institute for International Affairs Chatham House and DG Near will bring together a group of local and regional experts to discuss a subject dedicated to the Western Balkans “Beyond Berlin: What Does the Next Decade Hold for the Western Balkans? and other questions in the context of a wider conversation about the future of the region. 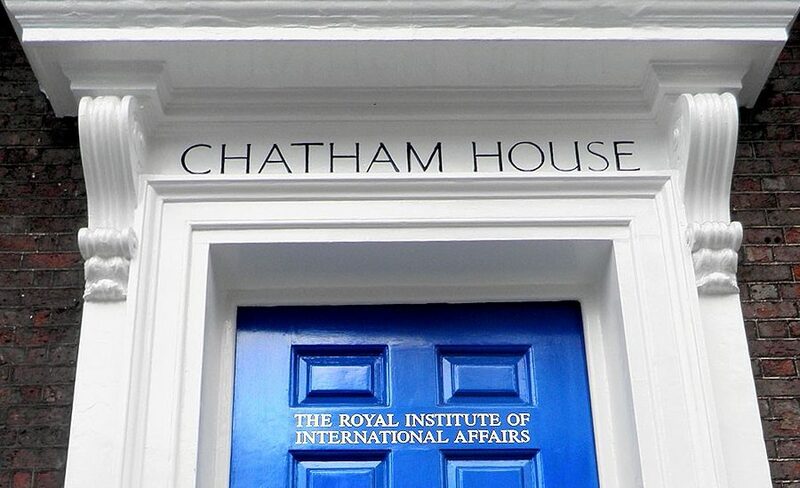 The event hosted by Chatham House will bring together a list of speakers who are high-level officials of the EU, as well as the experts from Europe and the WB region, while the main topic will be the future of the Berlin Process and the influence of non-EU actors – Russia, Turkey, USA – on the region. The panelists will exchange views on how the Berlin process has progressed since the first Summit to date and where they see the future of this initiative, what concrete achievements are and whether there are any failures of the process. They will also discuss how the EU can improve communication with the citizens and the political elites of the Western Balkans. Discussion will be attended by Christian Danielsson, Director General of the European Commission’s Neighborhood Policy and Enlargement Negotiations (DG NEAR), Zoran Nechev, Head of the Center for EU integration, the Institute for Democracy “Societas Civilis” from Skopje, Srđan Majstorović, President of the Governing Board (CEP) and BiEPAG Memeber and Milica Delević, Director of Governance and Political Affairs at the European Bank for Reconstruction and Development and BiEPAG Member. The panel will be moderated by professor Richard Wittman of Chatham House. At the second panel dedicated to the influence of non-EU actors in the Western Balkans, introductory remarks will be given by Catherine Ashton, Senior Adviser at Chatham House and former High Representative of the European Union for Foreign Affairs and Security Policy, who also acted as a mediator in the dialogue between Belgrade and Pristina. As in the last few years there has been an increased impact of the actors outside the European Union in the Western Balkans, their goals and interests in this region will be discussed. Panelists will also, in addition to the consideration of the Russian and US strategy towards the region, discuss the growing interest of China and Saudi Arabia, which are investing large amounts of money in its infrastructure. Another topic at hand will be whether Turkey’s policy towards the Western Balkans has changed. Finally, panelists will answer the question of what role the United Kingdom will have in the region after Brexit. Participants in the second panel will be Tena Prelec, an expert from the European Institute at the London School of Economics and Political Science (LSE), Nikola Burazer, executive editor at European Western Balkans and Florian Bieber, Professor at the University of Graz and coordinator of the Balkans in Europe Policy Advisory Group (BiEPAG). Moderator of the panel will be Vessela Tcherneva, Deputy Director of the European Council for Foreign Relations (ECFR). The first part of this event will be livestreamed.